Google Adsense is one of the primary source of Income for most of the online Publishers, But most of the time you get banned for Google AdSense. 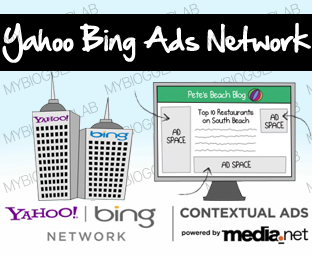 If yes, then Yahoo and Bing have signed a legal agreement with Media.net for Contextual Ads on Publishers Sites. Yahoo allows the users to customize their own ads according to their requirement. Yahoo ads come with many sizes that fits to your site.You will get paid when your ad revenue reaches the threshold amount that is 50$. So Start increasing Traffic and Earn more Money.